After growing into a full-fledged entertainment market, Apple’s iTunes only allows licensed users to leverage the iTunes store. The content can be used by up to 5 systems under one license. You can manage which devices can access iTunes and authorize or deauthorize them. When you get a new system, you need to authorize it to use iTunes, and the process is absolute simple. 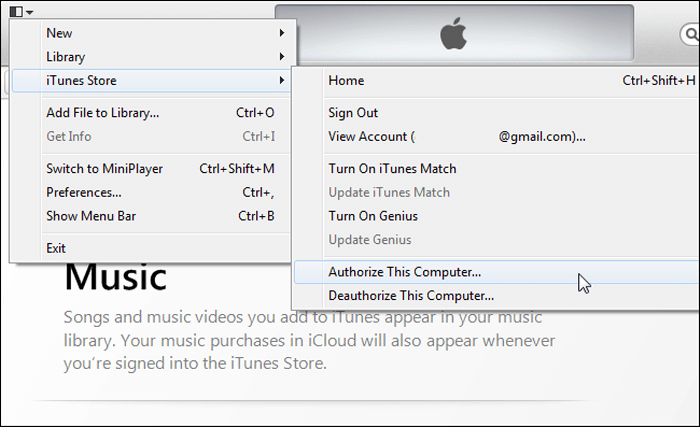 In this article, we will tell you how to authorize a computer on iTunes in a just a few easy steps. Part 1: How to Authorize a Computer on iTunes? 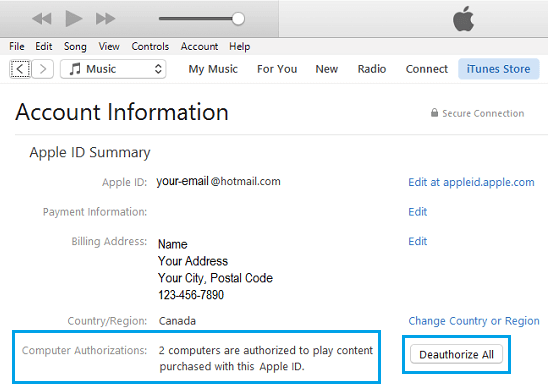 Part 2: How to Deauthorize a Computer on iTunes? Authorizing a Mac or a Windows PC on iTunes involves almost the same process with a few minor differences here and there. Download the latest iTunes version from the iTunes website. Open iTunes and click the “Store” menu followed by “Authorize This Computer”. Enter your “Apple ID” and “Password” and click “Authorize”. Remember, you can use the same Apple ID and Password for authorizing up to 5 devices. Your Mac is now ready to use iTunes in full swing. Open iTunes and hold the button “Control +B” to open the iTunes Menu. 5. Your Windows PC is now ready to use iTunes in full swing. Once you reach the 5 devices limit for iTunes, if you want to add a new Mac or PC to the authorization list, you’ll have to deauthorize one of the existing authorized devices. On the Menu bar, click “Account” followed by “Authorizations” and then “Deauthorize This Computer”. Enter your “Apple ID” and “Password”. You can also deauthorize all your computers by clicking “View My Account”, followed by “Deauthorize All” on the Account Information Page. Also, remember that if you don’t have access to the system you want to deauthorize, you’ll have to deauthorize all the associated devices and reauthorize them one by one. However, you can only authrize up to 5 devices on iTunes. You have to deauthorize any device if you want to add more in. Here is an alternative to iTunes - iMyFone TunesMate. It supports unlimited iDevces and computers for media files transferring. 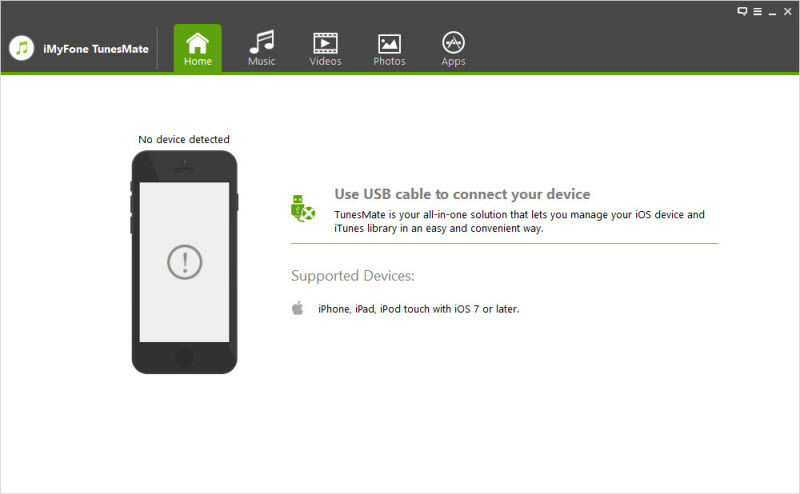 With the power of iMyFone TunesMate, now you can freely transfer your media files between your iPhone and PC/iTunes. Bid goodbye to the restrictions, bugs, server crashes in iTunes and several other roadblocks like limited one-way transfer and data loss while syncing. If you wish to transfer your favorite music files from your iPhone to your Mac or Windows PC, you can use TunesMate to make the task easy for you. Click the “Music” icon on the topmost bar and you will land in the “Music” window by. 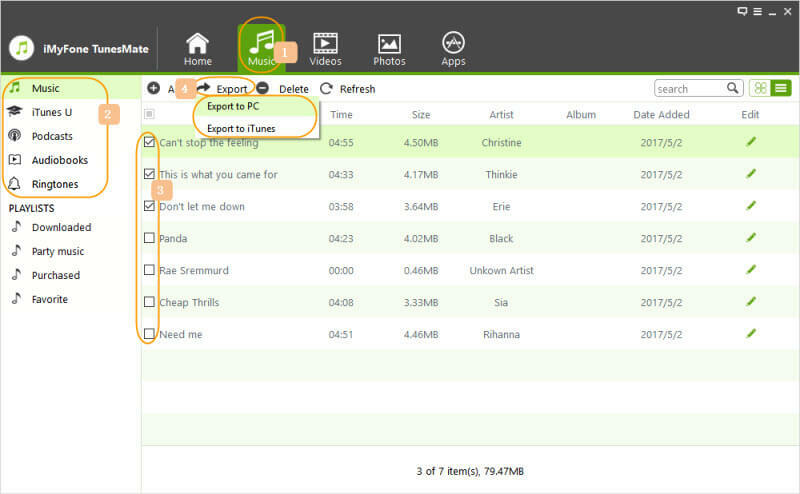 Tick the music files you want to transfer and click “Export > Export to PC” from the top menu. Browse and select the “Target Folder” to export the files. open. Click “Open Folder” to locate the transferred files or “Ok” to close the screen. Your favorite music is now safe and secure in your PC.